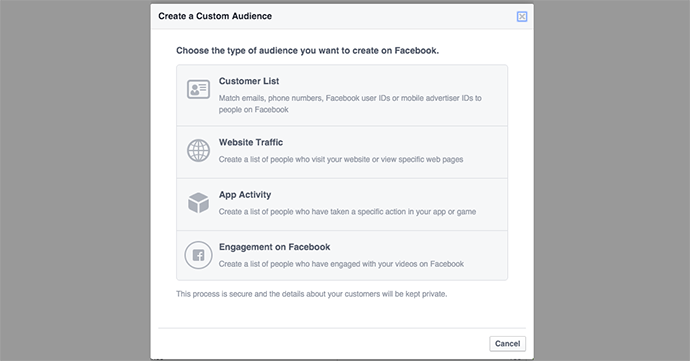 Engagement on Facebook Custom Audiences: Do You Have This? That sounds an awful lot like Video Views Custom Audiences. But then as I went further, the excitement returned. As I type this, I haven’t found anyone else who has this yet. I certainly haven’t read an announcement about it. So my assumption is that what I’m seeing is either a very limited test or the very early stages of a rollout (if not an accidental code push). 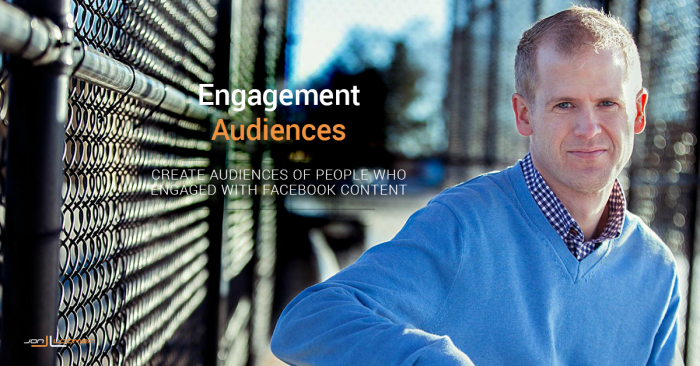 What are Engagement on Facebook Custom Audiences, and will they help us do these amazing things?? First of all, let’s be very clear: At this point, it would appear that you could create a Custom Audience for multiple engagement types on Facebook. That’s exciting! The process is much like that of creating a Website Custom Audience. But it’s also a manual process for creating a Video Views Custom Audience. So the question… What’s the difference? 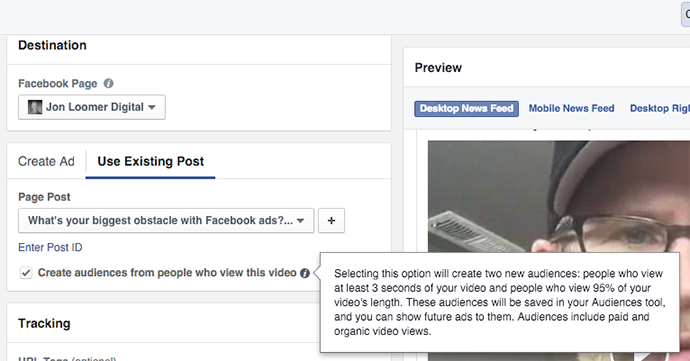 For a while now, Facebook has allowed some advertisers to create Video Views Custom Audiences. One way to do this is by checking a box while creating a video ad indicating that you wanted Facebook to generate such an audience. You could then target those people in other ads. 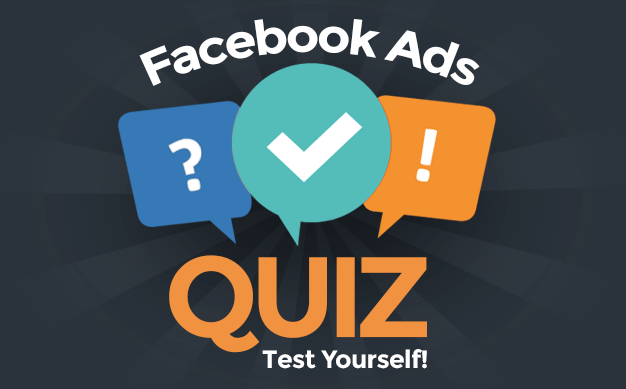 This is great for building campaign sequences and showing relevant ads! Still others, though, were reporting getting neither the checkbox nor the audiences generated. They were left out! 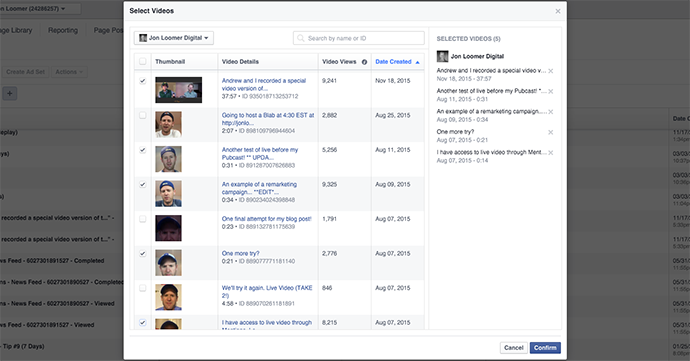 With the old Video Views Custom Audiences, you could create an individual audience of people who viewed a single video. You can select one or as many of your videos as you want! 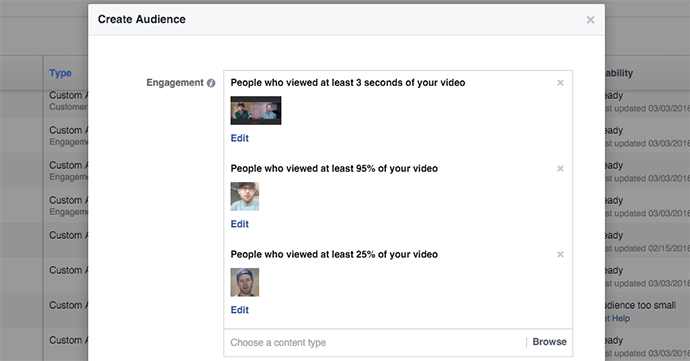 As you saw earlier, the new audiences provide six different video engagement options. You can actually select multiple engagement types. At first this didn’t make sense to me. Why would you create a 95% view and 75% view audience for the same videos? The 95% view audience would contain the entire 75% audience anyway. It’s simple, but this may be my favorite thing about these audiences. Durations are one of the features that make Website Custom Audiences so powerful — and more useful than Email Custom Audiences, for example. They allow you to target people who visited a specific page during the past day. It’s what makes something like an evergreen Facebook campaign possible. 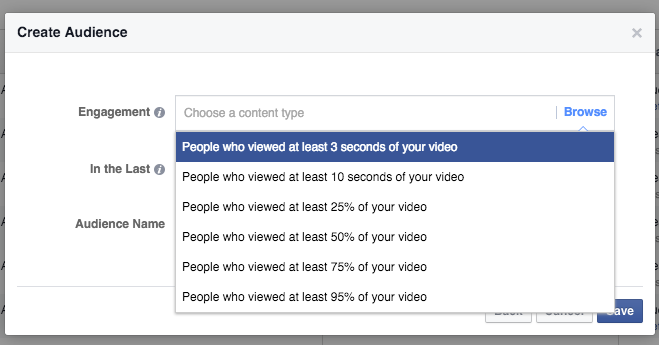 So now, you’ll be able to target people who viewed 95% of your video during the past day. Or past 10 days. Or past 30 days. Whatever, all the way up to 180. And since you can create those, you can also exclude these audiences. So you could create one ad set targeting those who viewed your video during the past four days; another during the past 5-8 days; another during the past 9-12 days. The duration provides lots of options! I’ve gotta be straight with you: I am not comfortable creating video. I don’t enjoy doing it. And live video isn’t any better. But it’s clear that people love it. 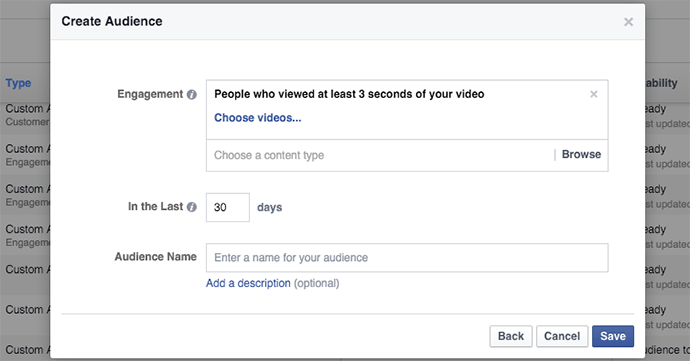 And Facebook keeps giving us reasons to create video (like the recent update to the news feed that gives live video priority). I consider this a very forceful push from Facebook. While Video Views Custom Audiences were interesting before, they weren’t all that flexible. But now we have a whole lot more control over what we create and what we can target. If you’ve been trying to ignore video like I have, you’re running out of chances. You are now losing opportunities. While all of this is great and exciting, I get most excited when I begin speculating about what may be coming. Am I looking too far into this? 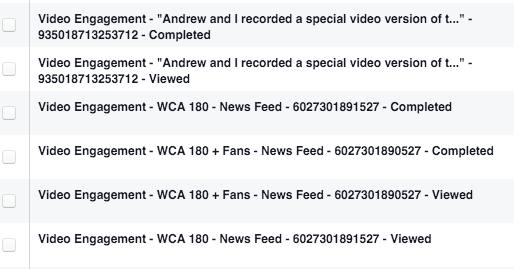 These are called “Engagement on Facebook” Custom Audiences. They aren’t called “Video Engagement” Custom Audiences. When creating them, we’re asked to “Choose the type of content you want to use to create your audience.” There is no mention of video here. These are things I’ve asked Facebook about before. They would be incredibly powerful and useful. I can’t help but think that they may actually become a reality. Of course, this is only speculation. But you can’t help but dream with me, right? 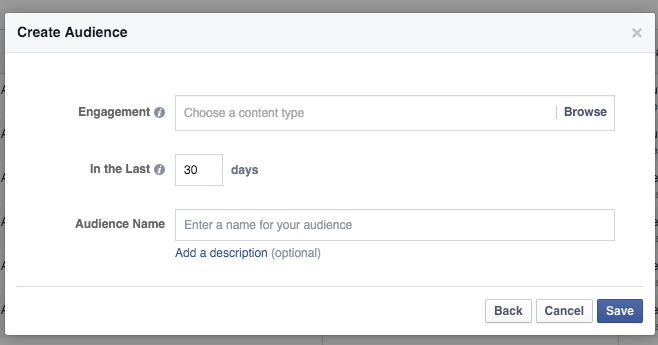 Do you have Engagement on Facebook Custom Audiences? What do you think about them?